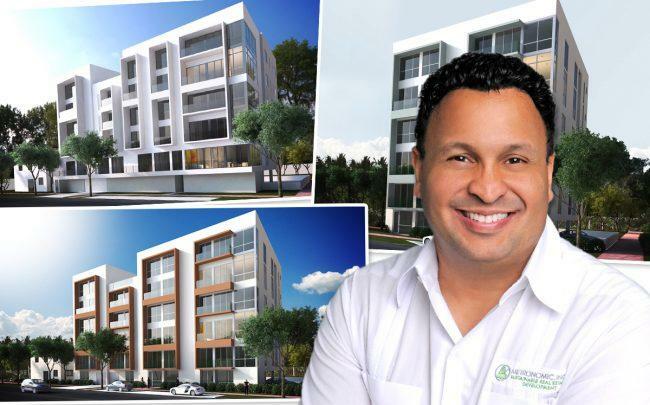 Developer Ricky Trinidad is tapping into Miami’s Upper East Side neighborhood with three boutique apartment projects in the works and more planned. Trinidad’s Metronomic recently closed on three development sites in the area, where the company plans to build Shorecrest Place, Bayshore Point and Metronomic Place Dos, with a combined 49 units. The sites are near North Bay Village, where Metronomic opened an office led by Stylianos Vayanos in November. Vayanos, chief development officer and area director, will be responsible for building out the company’s portfolio in the neighborhood. Trinidad said he expects to have an additional 10 to 15 projects in the pipeline in the Little River and Shorecrest areas, within the Upper East Side, by the end of 2019. The company has more than 30 projects currently in its development pipeline in the West Grove, Little Havana and other Miami neighborhoods, with plans to target new markets within Miami-Dade County. In March, Metronomic paid $530,000 for the Shorecrest Place property at 1071 Northeast 80th Street and $775,000 for the site of Bayshore Point. All of the properties are zoned T5 under Miami 21 zoning. Tatiana Escobar of Apex Capital Realty brokered the sales. In January, Metronomic closed on the previously announced site of Metronomic Place Dos, paying $840,000 for the property at 7880 and 7890 North Bayshore Court. Shorecrest Place, a nine-unit building with one- and two-bedroom apartments, will include covered parking, security system, a car charging station, and bicycle storage. Bayshore Point will be a five-story building with 20 apartments, an outdoor gazebo and grill, gym, dog park, covered parking, security system, bicycle storage and car charging station. Metronomic Place Dos will feature 20 rental apartments, including studios and two-story studio lofts ranging from 890 square feet to 1,255 square feet. The building will feature 4,100 square feet of common areas including a lobby, gym, business center, amenity deck with on-site dog park, and a penthouse terrace on the fifth floor. Metronomic plans to break ground by the beginning of the second quarter of this year. Metronomic typically finances its projects with its own equity, plus private construction loans that are 65 percent loan to value. Trinidad said the interest rate is high, between 10 percent and 11 percent. Because Metronomic has so many projects underway it’s easier to go with a private lender, he said. Starting in June, Trinidad said the North Bay Village office will focus on buying more land in the area. Metronomic’s goal is to replace some of the city’s older housing stock with “new quality apartments that people can afford,” Trinidad added. Rents will typically range from $1,600 to $2,200 a month.